Well , i finally made it to the track last night! Truck has 6900 miles on straight exhaust with 3.15 gears. 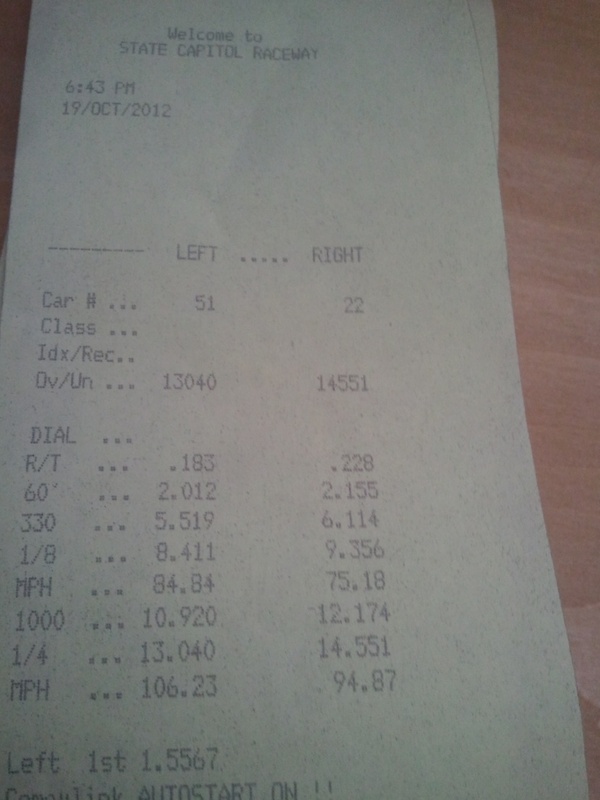 I was excepting to run 15.1 to 14.8 on my frist trip to the track. I havent seen any track numbers of 3.15 so i was guessing it was gonna be more on the slow end. 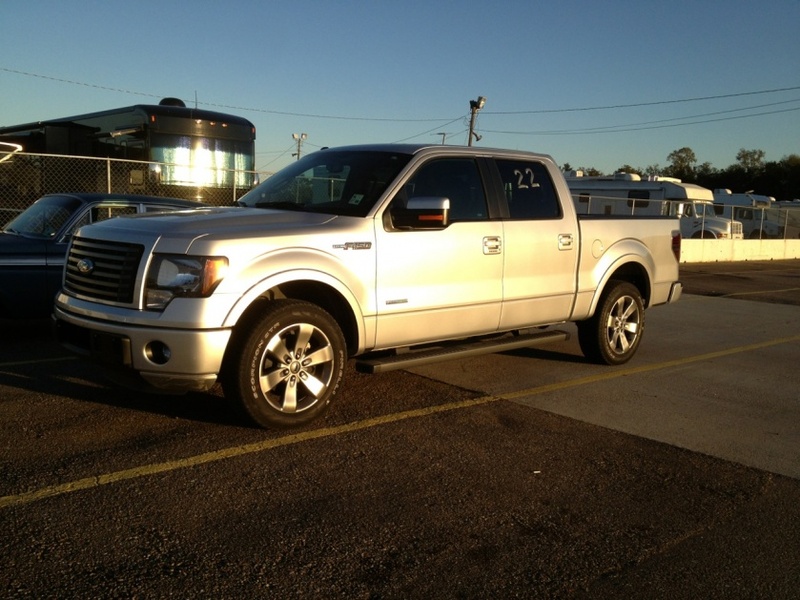 Sure enough the first run was 14.90, which i was still pretty excited for being this huge four door V6 powered truck..lol My next run Shocked me.... 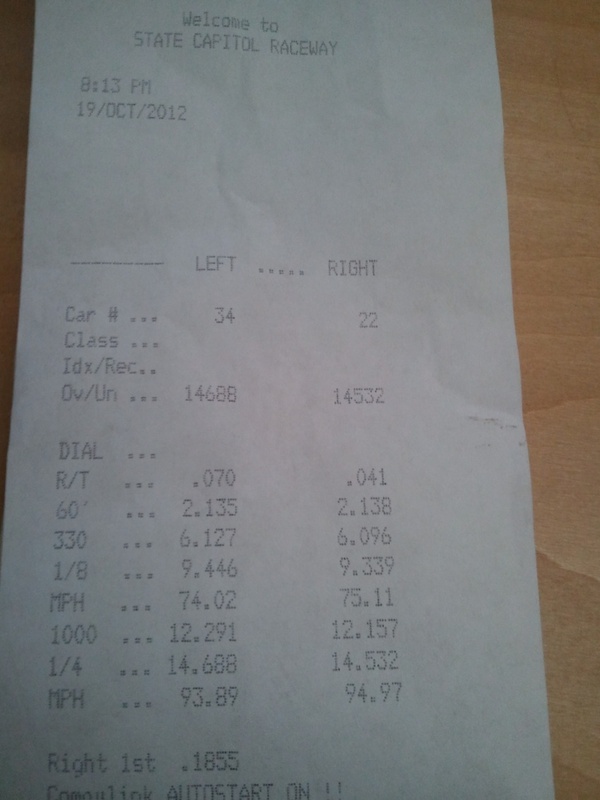 I ran a blazing 14.55 !!! 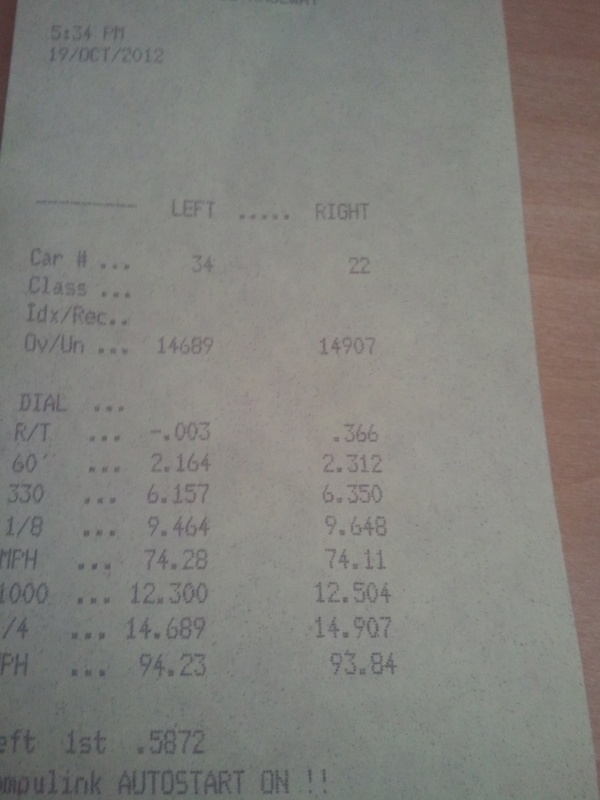 After that i got in one more trial run of 14.53 , than lost in the first round of bracket racing running a 14.67 ! Looking at my sixty foots on the last run and 14.53 i hooked up the same , but the truck just fell flat some by the 300 foot. 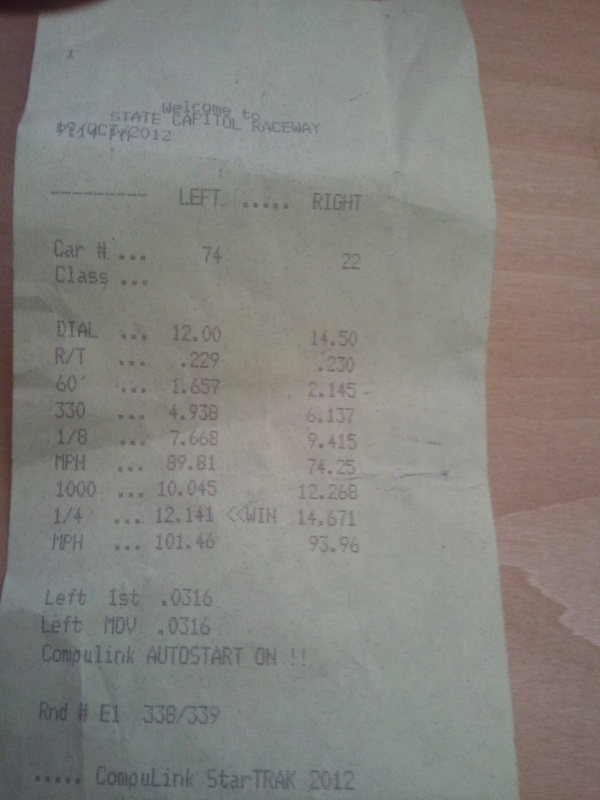 All said and done i had a fun night , cant complain about running mid 14 sec in a stock full size truck! Well done! Impressive numbers for a stock pickup... Glad you had fun too! Yeah not bad at all for stock. Nice runs! Did you keep it in 2wd?